Gambit. Gambit's costume seems to be based off of Marco Checchetto's artwork from the Daken: Dark Wolverine series. www.artstation.com/artwork/kxEvn. 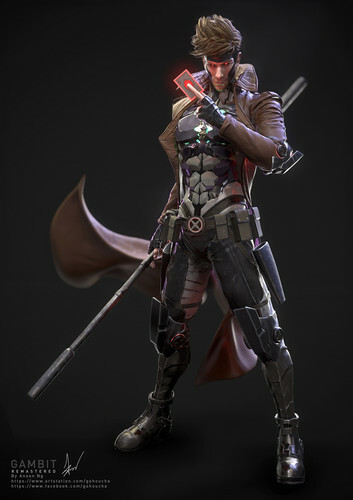 HD Wallpaper and background images in the Gambit club tagged: marvel gambit remy lebeau cajun.